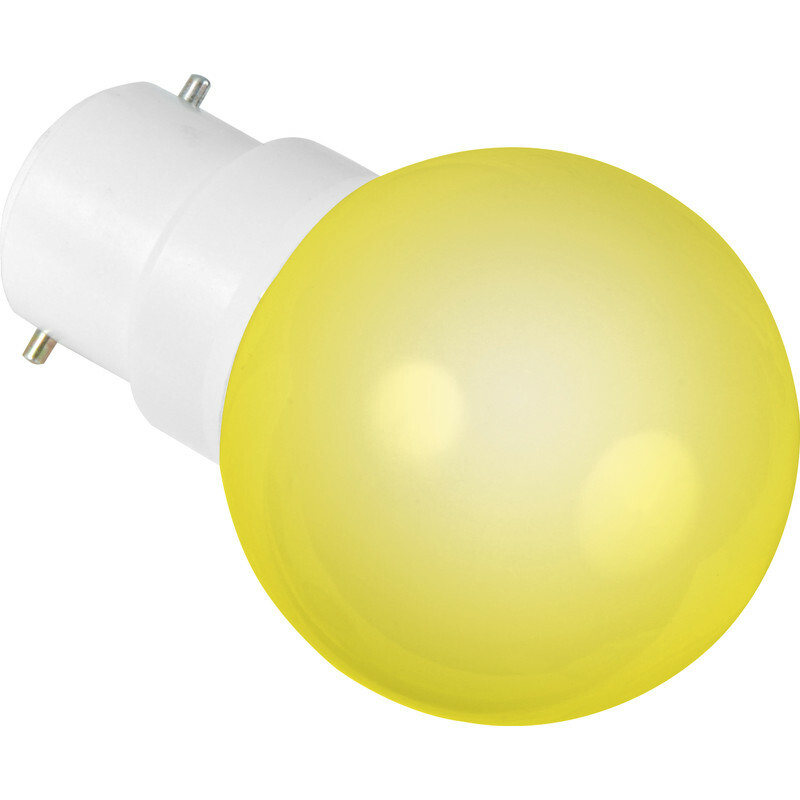 Sylvania LED 0.5W Ball Lamp BC (B22d) Yellow 22lm is rated 4.3 out of 5 by 3. Rated 5 out of 5 by Sjo34fl from Good for use as a childs night light Hard to find coloured night lights these days with bayonet fittings but these 0.5w led mood lights are perfect for the job. Rated 5 out of 5 by williams1185 from definitely orange ! bought to replace bulbs on a gas fire did the job !